Donald Trump no longer controls his Twitter account. 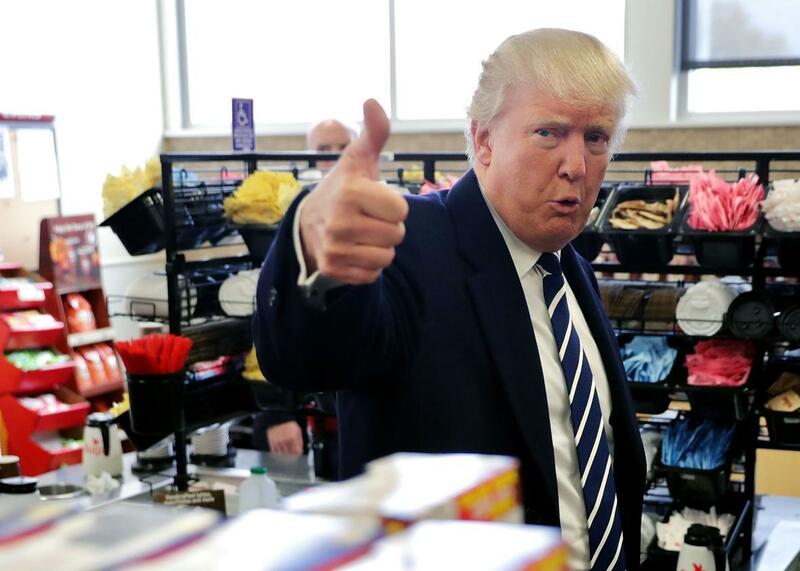 Donald Trump gives a thumbs up to a reporter while stopping for snack food at a Wawa gas station on November 1, 2016 in Valley Forge, Pennsylvania. As Election Day nears, Donald Trump has certainly seemed more focused and disciplined. He doesn’t go off message as easily and seems much more focused on the endgame. And that has been echoed in his Twitter account, which has often been a seemingly endless source of fodder for political reporters throughout the campaign. On Thursday, as his plane idled on the tarmac in Miami, Mr. Trump spotted Air Force One outside his window. As he glowered at the larger plane, he told Ms. Hicks, his spokeswoman, to jot down a proposed tweet about President Obama, who was campaigning nearby for Mrs. Clinton. “Why is he campaigning instead of creating jobs and fixing Obamacare?” Mr. Trump said. “Get back to work.” After some light editing — Ms. Hicks added “for the American people” at the end — she published it. Although Trump may be keeping some of his thoughts away from the public spotlight, the Times also paints a scary picture of a candidate who is obsessed with getting revenge from those he feels have wronged him. “Offline, Mr. Trump still privately muses about all of the ways he will punish his enemies after Election Day, including a threat to fund a ‘super PAC’ with vengeance as its core mission,” notes the Times.